Experience the convenience of rice with these wonderful recipes that can be cooked in a jiffy, without any hassles. 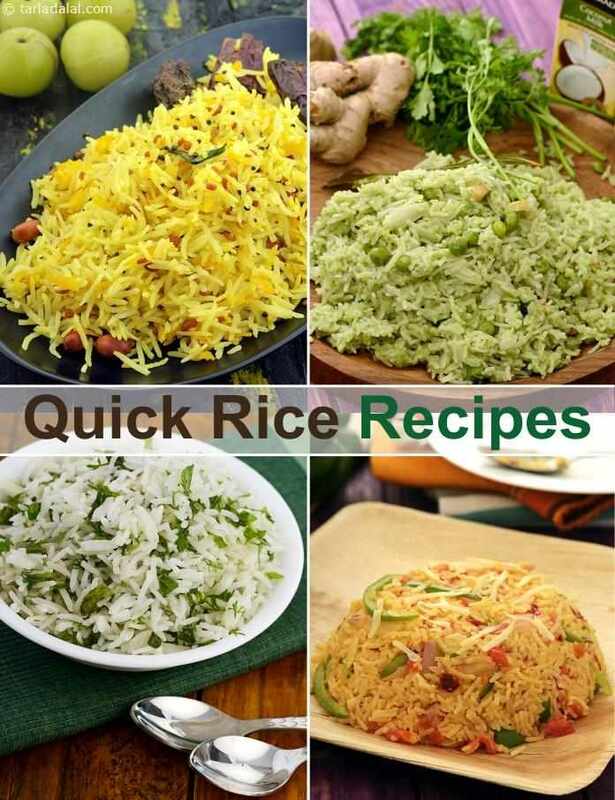 These Quick Rice Recipes taste fabulous but are mostly made using readily-available ingredients and easy cooking methods. Enter, to try out recipes like the Chilli Coriander Fried Rice , Green Rice and Quick Tava Rice . The sweetness of corn and the innate bitterness of methi complement each other well in this pulao. By using simple seasonings and the pressure-cooking technique, tasty Corn Methi Pulao can be prepared quite fast. Fried rice is most popular and famous when one thinks of chinese cuisine. . . It is quick and easy to make and taste best when served with vegetable manchurian or mixed vegetables in a spicy sauce. . .